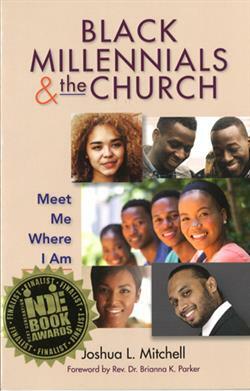 With a unique mix of humor, illustrations, and research findings based on a nationwide study of black young adults, this practical resource equips church leaders with a profile of black millennials that will help churches continue to effectively attract and make disciples of this emerging generation of young adults. Drawing on the biblical narrative of Matthew 14, where Jesus invites Peter to come meet him on the water, this book includes specific ministry principles and programming proposals for use in the local congregation. Joshua L. Mitchell, MDiv, DMin, serves as Minister to Youth and College Students at Wheeler Avenue Baptist Church in Houston, TX, where he provides leadership for more than 1,500 African American young people, ages 14-24. An ordained Baptist minister and contributor to Urban Faith magazine, Rev. Dr. Mitchell holds a bachelor's degree in Communications, a Master of Divinity, and a Doctor of Ministry, earned from the Samuel DeWitt Proctor School of Theology at Virginia Union University in Richmond Virginia. His nationwide research in black millennials and discipleship has made him a respected speaker, preacher, and teacher.